English for Academic Purposes (EAP) is the main theme of this seminar. At the university level, academic English is often taught in liberal arts and general education classes (e.g., report writing and class presentations), whereas specialized English is needed in faculties and graduate schools (e.g., academic article writing and conference presentations). We would like to see collaboration of various types at all stages of university-level English education, including curriculum development, lesson planning, teaching, and course assessment. For the enrichment of EAP education, we shall consider collaboration from a range of viewpoints such as collaboration among English teachers, between subject teachers and English teachers, and between students and teachers. Prof. Neil Murray, The University of Warwick, U.K.
-University gatekeeping tests: What are they really testing and what are the implications for EAP provision? participants. Late applications will not be accepted. Include the completed application form　(参加申込書) with the application fee (in cash), and submit through registered mail (現金書留Genkinkakitome). Please note that it must be registered mail – cash may not be sent via regular mail. Japan post-bank transferAccount number: 00110-7-61932Include “Summer seminar participation fee” (サマーセミナー研修参加費) in the details (通信欄). Please post or email a receipt of the transfer to the postal address or the e-mail address below, with your completed application form(参加申込書). Please post or email a receipt of the transfer to the postal address or e-mail address below, with your completed application form(参加申込書). *Note: Registration will be completed when we have received proof of payment. You will be notified via email once registration has been completed. Postal address: 55 Yokodera-cho, Shinjuku-ku, Tokyo 162-0831. JACET Attn: Summer Seminar Organizing Committee. Cancellation: The registration fee cannot be refunded for any reason. Please note that the fee may not be refunded for partial attendance. Your personal information will be used exclusively for JACET-related activities. We are accepting poster session applications for attendees of this year’s summer seminar. 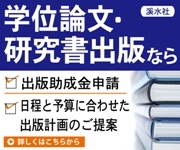 ・The content should be related to the theme of the seminar and be related to university endeavors in English education or your own English education programs. ・This year’s poster session will include examples of English education in practice and will provide an opportunity to receive comments from the invited lecturers. ・The poster size may be up to A0 size (1 sheet, portrait). ・The first presenter must be a JACET member in order to submit an application. Please send an MS Word attachment via email to the JACET office with the subject “43rd Summer Seminar Proposal Submission”. Please include the names of presenters, JACET membership numbers, and affiliation in your email. The MS Word files should include the proposal for your poster (including the title), and be no longer than 1 page. Applications will be evaluated after the above deadline, and applicants will be contacted with the results. Accommodation may be difficult to secure around the period of the Summer Seminar, so please ensure that you make arrangements as early as possible. Neil Murray　The University of Warwick, U.K.
講義1 University gatekeeping tests: What are they really testing and what are the implications for EAP provision?